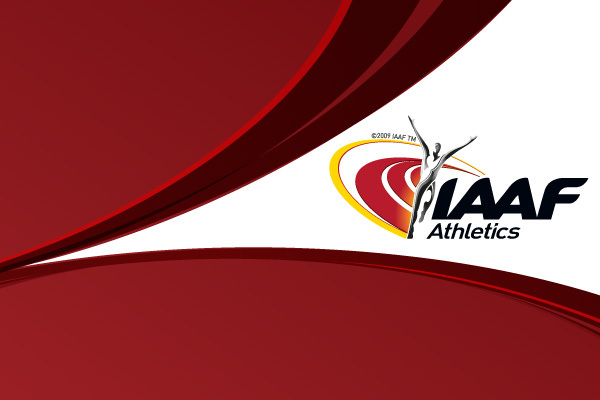 We conclude our three part preview - Track, Field, and Combined - of the 10th IAAF World Indoor Championships in Athletics (5 – 7 March 2004) with the TRACK EVENTS. A rare double attempt, several title defences and an opportunity for emerging talents to share the spotlight will all be on tap when the track events get underway Friday morning in Budapest's newly built Sportarena. With seven of the year's ten fastest performances, Britain’s Jason Gardener (6.46) has dominated the world list this season. But when he sets his blocks just before 10 am Friday morning, alongside seven of the year's remaining nine fastest, his nine sub-6.55 clockings will mean little. Others have clearly been catching up. 2001 World Indoor 200m champion Shawn Crawford, who's been training with highly touted coach Trevor Graham since last fall, lowered his personal best to 6.47 to win the US title. 19-year-old Nigerian Olusoji Fasuba, who clocked 6.50 to win in Chemnitz on Friday, will get his first taste of international experience. Ukrainian Kostyantyn Rurak and Yeóryios Theodorídis of Greece have each posted 6.54 performances, while Jamaican Asafa Powell, who performed well in the latter stages of last year's outdoor season, should play a major role as well. Mickey Grimes, who joined the sub-10 club last summer, is the second American entrant. Last year, Joseph Batangdon emerged on the scene after a surprise silver medal performance in Birmingham. This year the 25-year-old from Cameroon arrives in Budapest on the heels of his 20.57 win in Aubière, as the year's fastest. Germany's Tobias Unger (20.59), number two on the yearly list and Swede Johan Wissman (20.65), fourth fastest this year, are also in the field. No Swedish flat sprinter has ever reached the final of a World Indoor Championship; this weekend, the 21-year-old Wissman is a solid medal contender. In perhaps his final indoor campaign, World record holder and 1999 champion Frank Fredericks (NAM) cannot be discounted. Caribbean sprinters have a strong tradition in the 400, and look to be a formidable force here as well. Alleyne Francique (45.90) of Grenada and Jamaican Gregory Haughton (45.94) are two of the year's five sub-46 performers in the field. Sofiane Labidi (45.93) of Tunisia is another. Davian Clarke (46.21), the second Jamaican entrant is poised to be a factor, while US champion Milton Campbell, silver medallist in 1999 and 2001, aims to move up a notch to claim the 6th long sprint title for the US. Despite the absence of world leader Yuriy Borzakovskiy and defending champion David Krummenacker, the 800 is building up to be an all-out brawl. Kenyan Joseph Mutua, who became the third fastest ever indoors after his 1:44.71 win in Stuttgart, leads a pack that includes South African Mbulaeni Mulaudzi (1:45.43) and the second Kenyan entrant, William Yiampoy (1:45.80). 21-year-old Ethiopian Berhanu Alemu and Osmar Barbosa dos Santos of Brazil have each run under 1:46 this season. Ukraine’s Ivan Heshko has the year's two fastest performances after wins in the season 's two toughest races. But more often than not, the indoor title is a decidedly tactical affair, and with eight others in the field who have shown 3:37 form or better, the title in Budapest is virtually anyone's for the taking. Ali Saïdi-Sief (3:36.02) of Algeria, Spaniards Juan Carlos Higuero (3:36.39) and José Antonio Redolat (3:36.55), Kenyans Paul Korir (3:37.05) and Laban Rotich (3:37:17), and Britain’s Commonwealth Games champion Michael East (3:36.42) are expected to wage a fierce battle. The absence of defending champion Haile Gebrselassie will not leave the event bereft of talent. Sydney Olympic 1500 bronze medallist Bernard Lagat has moved up in distance this winter and proved himself to be an immediate force after his 7:34.96 win in Athens. The second Kenyan entrant, Boaz Cheboiywo, achieved considerable success while a student at Eastern Michigan University, claiming NCAA titles in cross country and at 10,000m. After his 7:38.30 win in Fayetteville, the 25-year-old makes his first national team appearance as a medal threat. But Ethiopian entrants Abiyote Abate (7:38.43) and Markos Geneti (7:41.06) will do their part to keep the title in Ethiopian hands. Also in the field is cross country star Sergiy Lebid (7:41.01), who twice lowered the Ukrainian record in the event this season. Once again, two-time World indoor champion Allen Johnson enters as the solid favourite. The four-time outdoor winner arrives in Budapest with the year's fastest time -a scorching 7.43 win at the Millrose Games-but his defence will be anything but the proverbial cakewalk. The season's second, third, fourth and sixth fastest are all en route to Budapest. 20-year-old Xiang Liu of China and Jamaican Maurice Wignall have clocked 7.51 this season, a national record for the latter and an Asian record for the former. US championships runner-up Duane Ross has a 7.53 to his credit, while Cuban Yuniel Hernandez has a pair of 7.57s this season. Defending 60m Hurdles champion Gail Devers likes to set and accept challenges. Indeed, after countless World, Olympic and national titles, the seemingly ageless 37-year-old needs to devise new ways to keep herself and her countless fans entertained. Her task this weekend? To take her double 60m/60m hurdles victory at last weekend's US championships -the first of its kind-and duplicate it on the global level. Arriving in Budapest as the season's fastest in the hurdles and the tied as the third fastest in the sprint, her task, while difficult, is anything but folly. With seven of the year's eight fastest women in the field, Devers' double drive opens the competition on Friday in quite formidable fashion. Consider the lineup: Christine Arron of France has run 7.12 or faster three times this year, topped by her national record 7.08. 23-year-old Russian Yuliya Tabakova leads the world with a 7.06. Yuliya Nesterenko lowered the Belorussian national record to 7.10. And second American entrant, 2003 bronze medallist Torri Edwards, arrives days after lowering her PB to 7.12. Belgian record holder Kim Gevaert (7.13), the double sprint silver medallist at the 2002 European outdoor championships, entered the spotlight this winter after defeating Marion Jones in Birmingham. 43-year-old Merlene Ottey, fourth last year in Birmingham, is no stranger to a global championship held in Budapest. When the Hungarian capital hosted the second World Indoor Championships in 1989, Ottey dashed to a stunning win in the 200m, and claimed silver in the 60. With a 7.26 to her credit this season, the Jamaican-born Slovenian's appearance is anything but a footnote. Though not the fastest of the year, but Paris silver medallist Anastasiya Kapachinskaya (22.71) arrives in Budapest as the season's most consistent. The 24-year-old Russian, who raced to bronze last year in Birmingham, has three of the year's seven fastests clockings, and is the only performer with a pair of sub-23s. Austrian Karin Mayr-Krifka (22.88), the European indoor silver medallist, should pose a strong medal threat, along with Natalya Safronnikova of Belorus, second Russian Svetlana Goncharenko and US champion Crystal Cox. Jarmila Kratochvilova's 49.59 World record will celebrate it's 22nd anniversary on Sunday, the day after the 400m final. After her sterling 49.68 last month, the third fastest clocking ever, defending champion Natalya Nazarova has resurrected serious discussion about the possibility that the Czech's seemingly untouchable mark can indeed be broken. The 24-year-old Russian record holder is more than a second faster than the rest of the world this year, and is among the few clear favourites. Olga Koltyarova (50.64), the silver medallist in 2001, is the next fastest. Jamaican Sandie Richards, who beat Kotlyarova in Lisbon, returns, who along with teammate Allison Beckford, cannot be ignored. After a day off, Gail Devers' quest continues on Sunday. Here too, her mission will be no less challenging. Swede Susanna Kallur (7.88), Jamaican Lacena Golding-Clarke (7.89) and Canada's outdoor World champion Perdita Felicien (7.90) are 2-3-4 on the yearly list, and all will pose a significant challenge to Devers' quest to become the first to successfully defend a women's hurdles title. The French duo of Linda Ferga-Khodadin (7.93) and Nicole Ramalalanirina (7.94) along with Germany's Juliane Sprenger (7.94) are medal threats as well. It's become exceedingly difficult to write anything about Maria Mutola that hasn't already been written. The five-time indoor champion races often, and usually does so in dominating fashion. But an apparent misstep in her last outing, in the Birmingham 1000m two weeks ago where she failed to finish, showed that even the preeminent dominating force in the event for the past decade is not infallible. World indoor record holder Jolanda Ceplak, who beat the Mozambiquan in Gent two years ago, knows the task is difficult, but not impossible. With a pair of sub two-minute clockings, the popular Slovenian arrives in neighbouring Hungary near top form. Mayte Martinez, who out-leaned Ceplak in Birmingham for bronze, has lowered the Spanish record to 1:59.52 this season. Double US champion Jennifer Toomey, who has improved steadily in each appearance this season, is the latest American middle distance hope. Teetering on sub-two minute territory, and with a 2:34.19 national record in the 1000m this season to become the fourth fastest ever over the distance, the 32-year-old late-comer to the sport is a solid medal threat. The metric mile features four of the year's five fastest. Ethiopia’s Kutre Dulecha (4:01.90 and 4:04.47) is the most consistent, though both Alesya Turova (BLR) and Briton Kelly Holmes, the Birmingham silver medallist, have each run under 4:05 this season. Russian Gulnara Samitova (4:05.91) will be a factor, as will local favorite Judit Varga, who lowered the Hungarian national record to 4:06.04 in Karlsruhe. The longest distance has all the makings of a team battle virtually no one would have envisioned just two months ago. Defending champion Berhane Adere (8:33.05) and compatriot Meseret Defar (8:33.44) are the year's two fastest, but right on their heels is Briton Jo Pavey. Prior to this year, the 30-year-old had not even run indoors, but in only her second arena race she retired Liz McColgan's 14-year-old British record with her 8:34.55 performance in Birmingham. Not further behind is Paris 1500m bronze medallist Hayley Tullett (8:48.77), who chose to contest the longer distance. Spanish record holder Marta Dominguez, who finished second to Adere last year, returns, while Russian entrants Gulnara Samitova (8:41.72) and European Cup winner Yelena Zadorozhnaya should play a key role as well.